Good Morning!! Today I wanted to share a centerpiece I made for Lexi's birthday party. Here's my finished centerpiece, notice how I added my own spin to it using the vase and bow rather than a bucket with tulle and an embellished buckle. The inspiration for my centerpiece is from A Sweet Celebration Etsy store. I love it, it's so pink and princessy (yes, princessy is a word).She has some beautiful stuff there, it's a great place for party shopping! 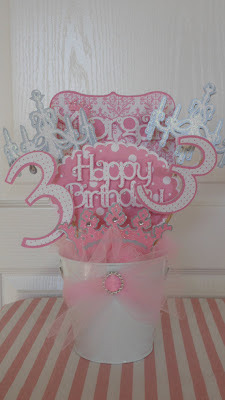 Lexi's party colors are purple and pink so I used the same cardstock I had used for her Princess Birthday Banner, as well as the same rhinestone embellishments. I incorporated tulle into my project as well by filling my clear vase with it (great way to hide the floral foam I used to hold the cut outs) and let some spill out of the top like the inspiration centerpiece. It was a happy coincidence that the vase had a pink and white bow when I received it, so that is recycled. 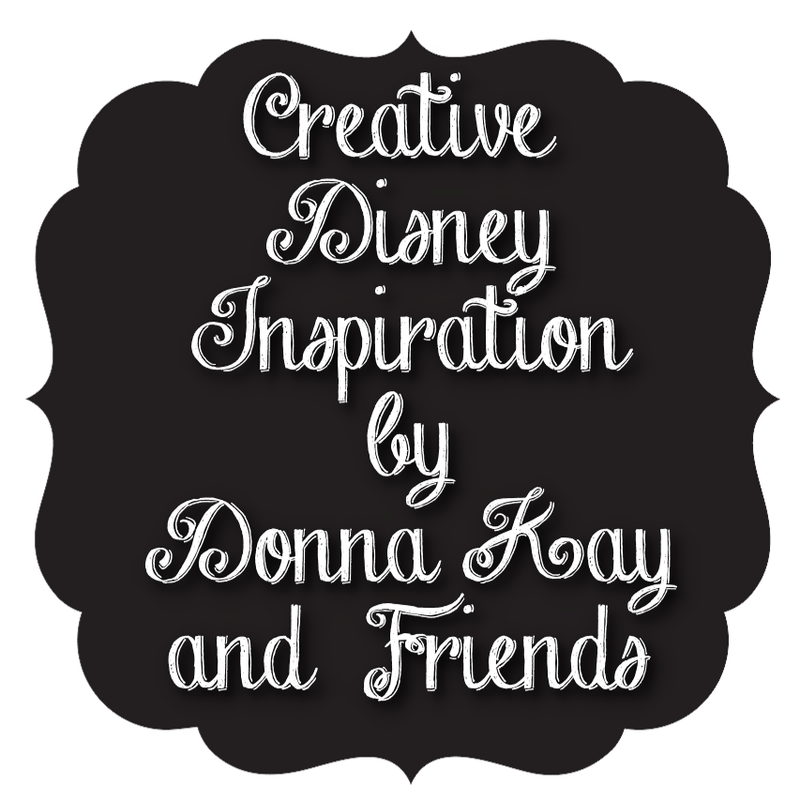 I would use glitter cardstock somewhere on all of the pieces - for bling and stability. It is sturdier than regular cardstock and I believe it is better for cutting intricate designs as well. I would use a vase with a larger neck so that I could spread the cut outs farther apart. 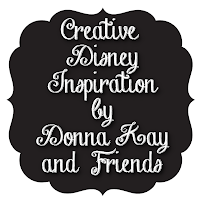 Hope you have enjoyed this 6th installment of Creative Disney Inspiration, as always if you make any of the projects please share them on the Disney Donna Kay Facebook page. I would love to see them! !